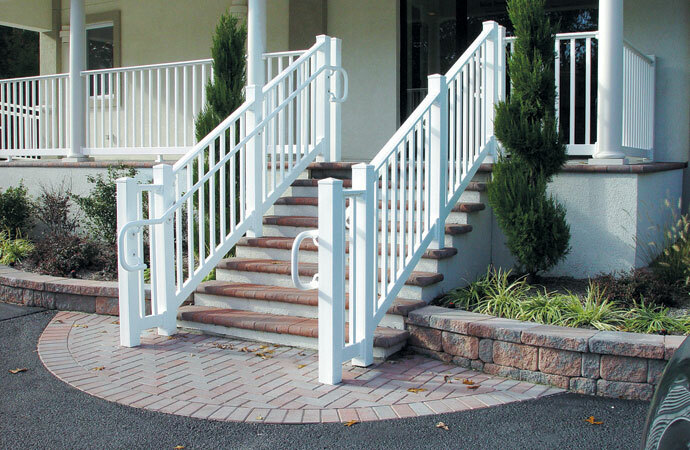 Create a continuous code handrail on any stairway or ramp. Our ADA railing parts have been tested and complied to requirements within the IRC (International Residential) and IBC (International Building) codes. 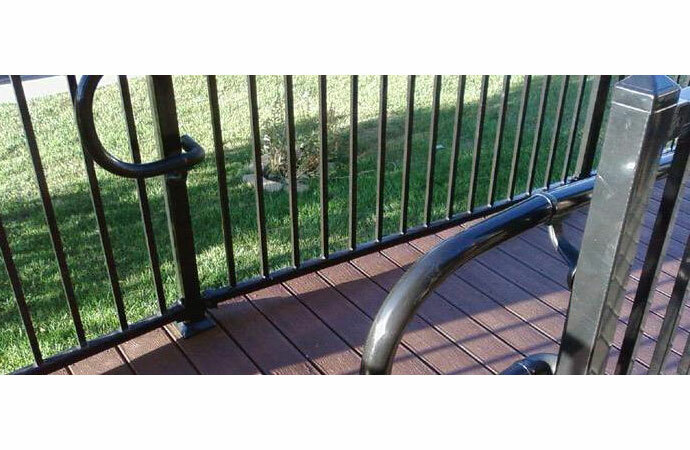 Our railing systems can be easily mounted onto vinyl, wood, composites, steel, concrete or aluminum without any special tools. Simply click on the part you need in the diagram below to be taken to the corresponding page. 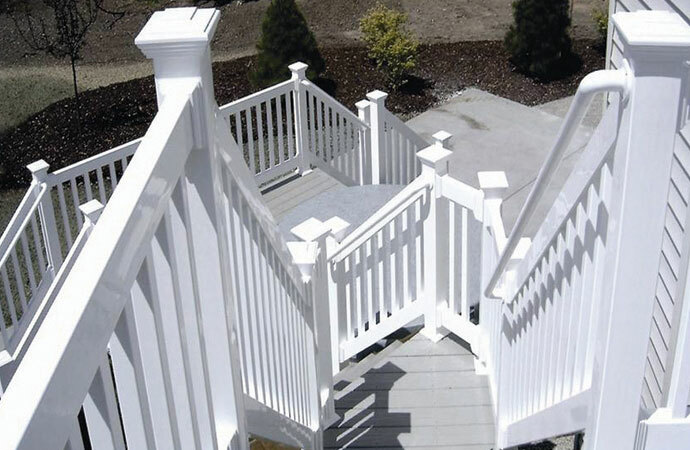 LMT ADA railing systems have a history as the nation's most innovative, code compliant railing system available. With stairs and ramps, it's all about angles. Our adjustable internal joiner can fit a wide range of angles for tricky stair and ramp transitions. Simply cut the rail to the desired length using a miter saw, adjust the joiner to the desired angle, and apply epoxy to hold it in place. This unique joiner accommodates angles from 0-90 degrees. Most ADA compliant hand rail is pre-bent, and therefore almost impossible to get right when installing. 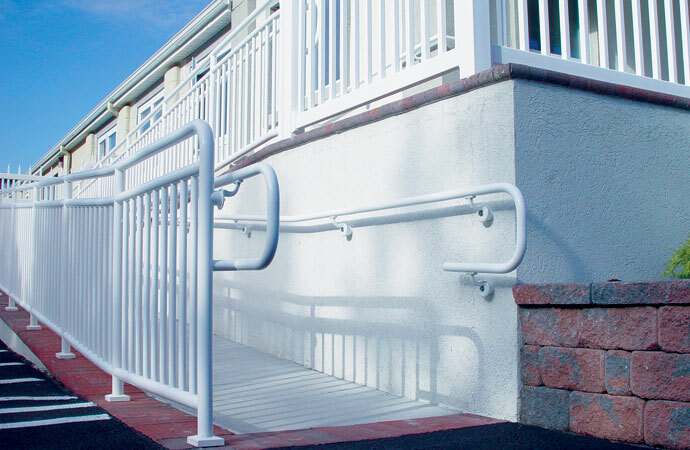 We understand that no two stairs or ramps are alike; with our ADA railing system, code compliance and fast installation is the norm. Ready to Create Your Own Railing?